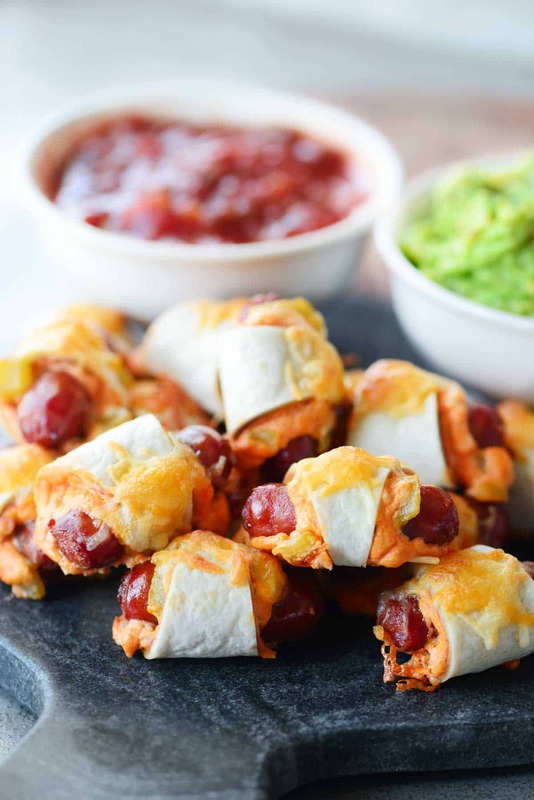 These Mexican Pigs In A Blanket are easy to make, full of flavor, and delicious dipped in salsa and guacamole. 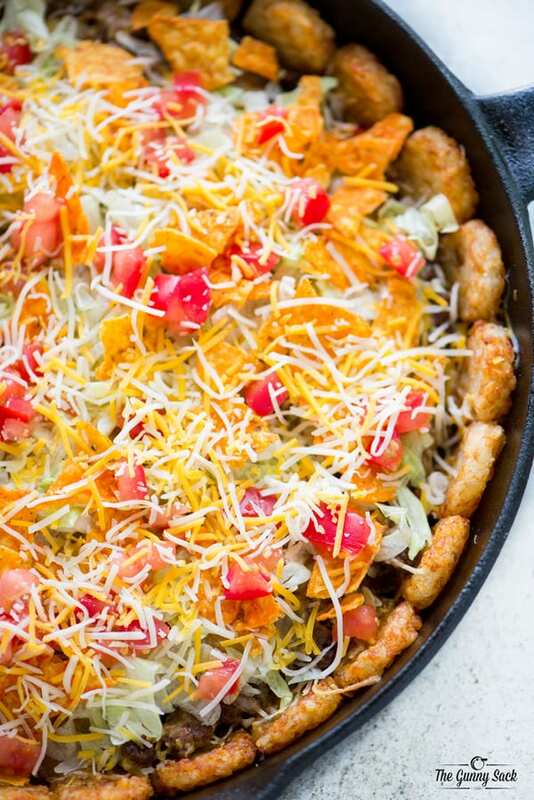 One of the MOST POPULAR appetizers just got even better with a MEXICAN TWIST! They are perfect for parties and celebrations. Everyone loves pigs in a blanket. 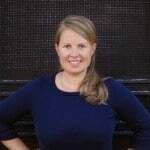 They are present at pretty much every party, celebration, and potluck. I decided to take the classic appetizer and give it a boost of flavor. 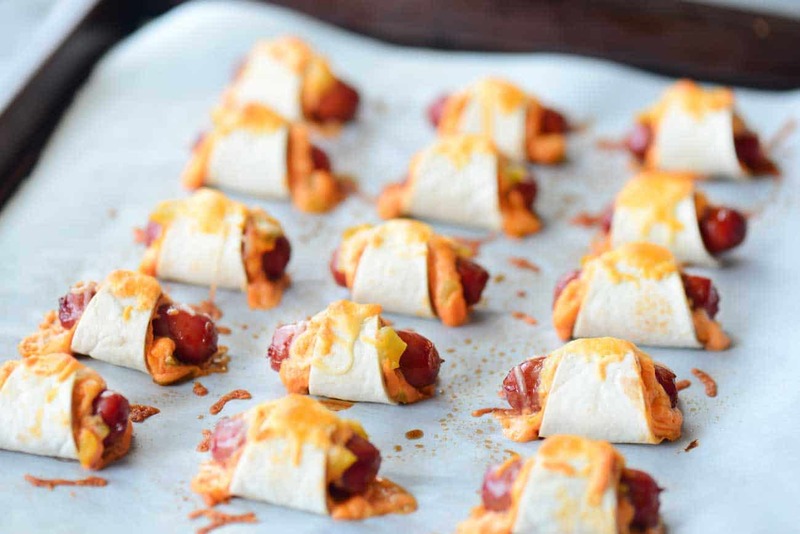 These Mexican Pigs In A Blanket are so good that I’m not sure I will ever want them the original way again! First spread refried beans on two flour tortillas and set them aside. Next, beat the softened cream cheese. Add the taco sauce and beat until smooth. Spread about 1/4 cup of the mixture over the refried beans on the tortillas. Top each tortilla with about one tablespoon of diced green chiles and cut them into 16 triangles. Roll a mini cocktail sausage up in each triangle starting at the wide end. Place on parchment covered baking sheet. Spray with cooking spray and top with a small pinch of shredded Mexican blend cheese. Bake at 400°F for 9-12 mins. 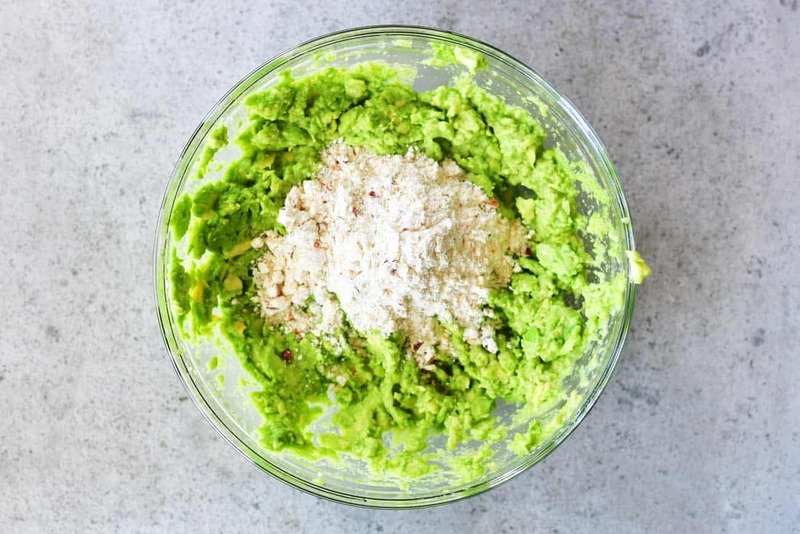 To make the guacamole, mash two ripe avocados with a fork. Stir in a package of guacamole seasoning mix. 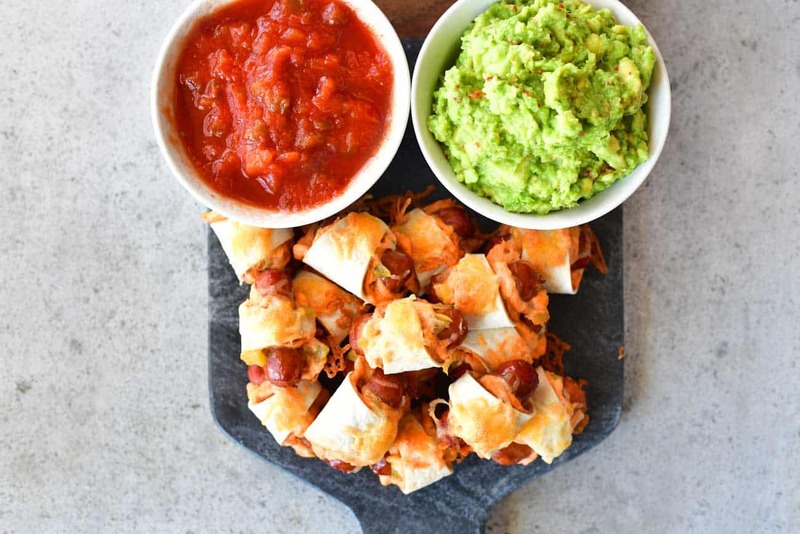 Put salsa in one bowl, the guacamole in another and place both bowls on a platter with the hot Mexican Pigs In A Blanket. 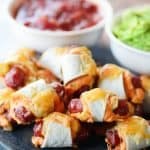 These Mexican Pigs In A Blanket are so good that everyone will be asking for the recipe at the next party or potluck you bring them to! 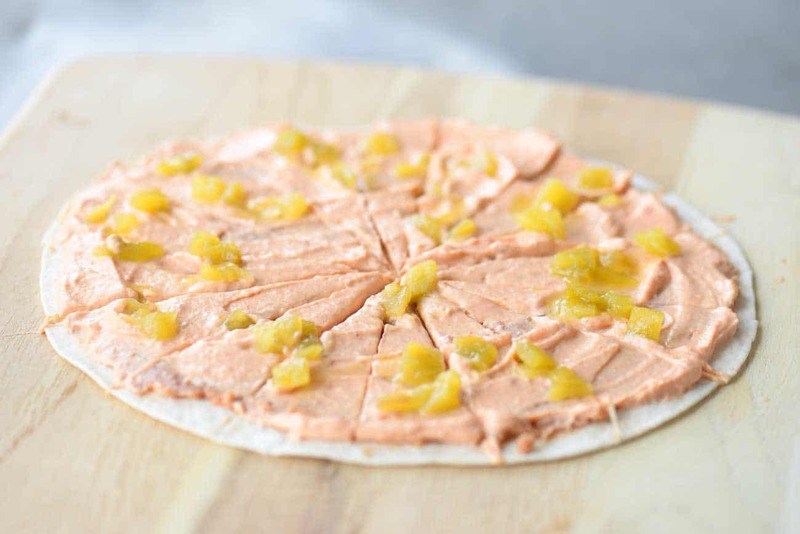 Spread two tablespoons of refried beans on each flour tortilla. Beat softened cream cheese. Add taco sauce and beat until smooth. Spread 1/4 cup of the mixture over the refried beans on each tortilla. Top each tortilla with one tablespoon of diced green chiles. Cut tortillas into 16 triangles. 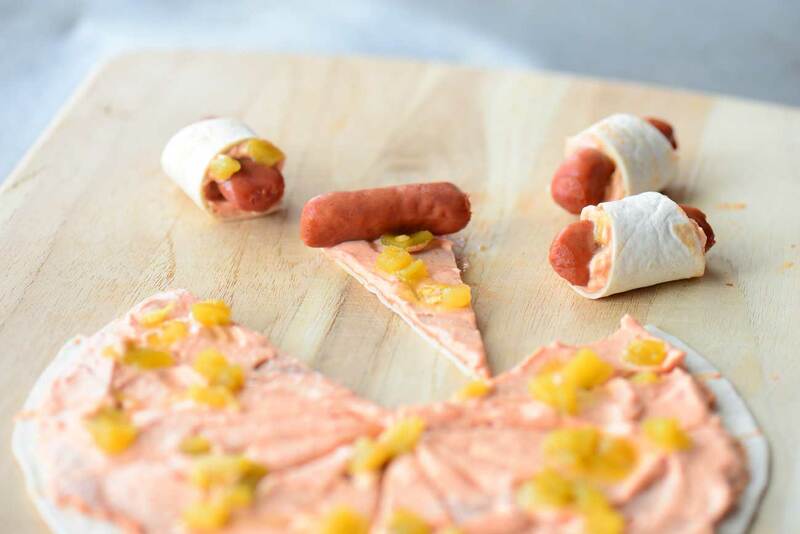 Roll a mini cocktail sausage in each triangle. Place on parchment covered baking sheet. Spray with cooking spray. Top with a small pinch of shredded cheese. Bake at 400°F for 9-12 mins. Mash two ripe avocados with a fork. Stir in guacamole seasoning mix. Cutting the cream cheese covered tortillas is a bit messy. I’ve used both a pizza cutter and large knife so if one isn’t working for you try switching to another to see if that works better. I used mild taco sauce, green chiles, and salsa. If you like things spicier, try the medium or hot versions instead but keep in mind who you will be serving them two and what they prefer. Kids might like the mild ones best. 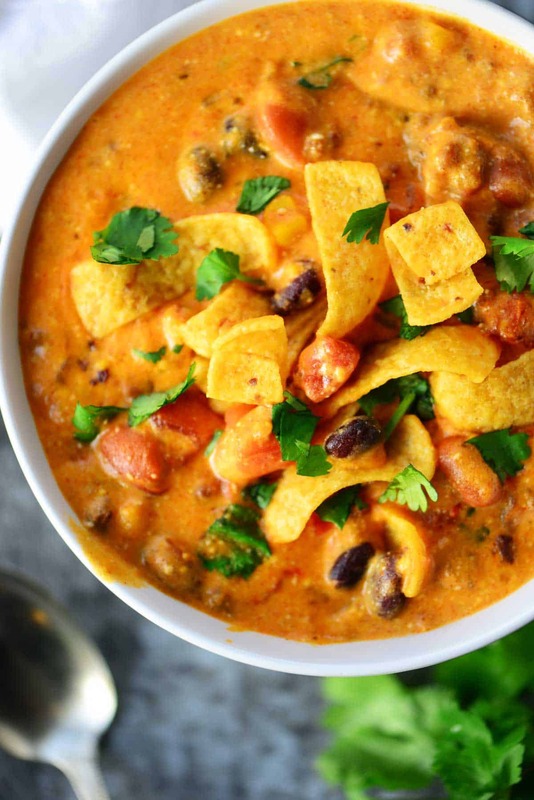 Try using a green taco sauce or salsa verde to switch things up a bit. This recipe calls for a shredded Mexican cheese blend but you can use whatever shredded cheese you have on hand. 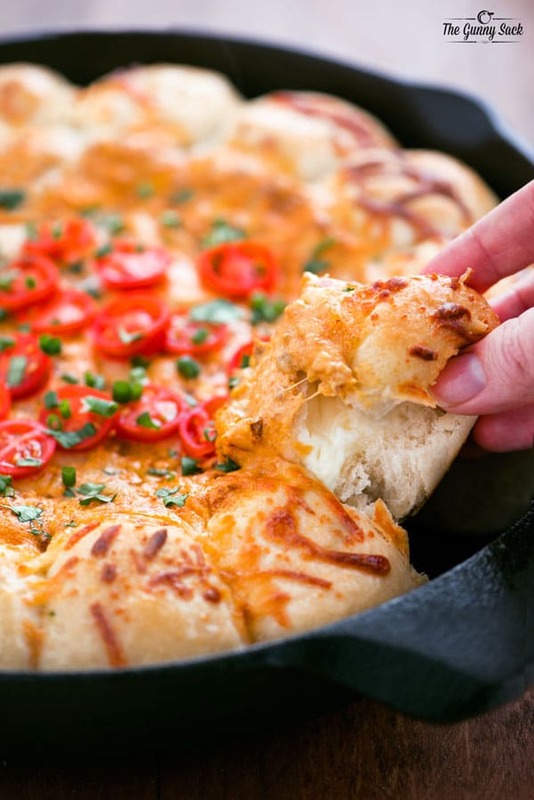 If you are serving these at a party, try making them ahead of time. You can reheat them in the oven before serving. Or make the Mexican Pigs In A Blanket but refrigerate them BEFORE cooking them. Then, pop them in the oven before serving. Since they are chilled the might take a few more minutes to cook. The hardest part is spreading the cream cheese mixture on TOP of the refried beans. I do it using a pastry bag and zip-zaging it over. Otherwise, it’s a messy job!